Documented Co-Director and Center for Media and Democracy President Lisa Graves previously served as U.S. Senator Patrick Leahy’s chief nominations counsel. 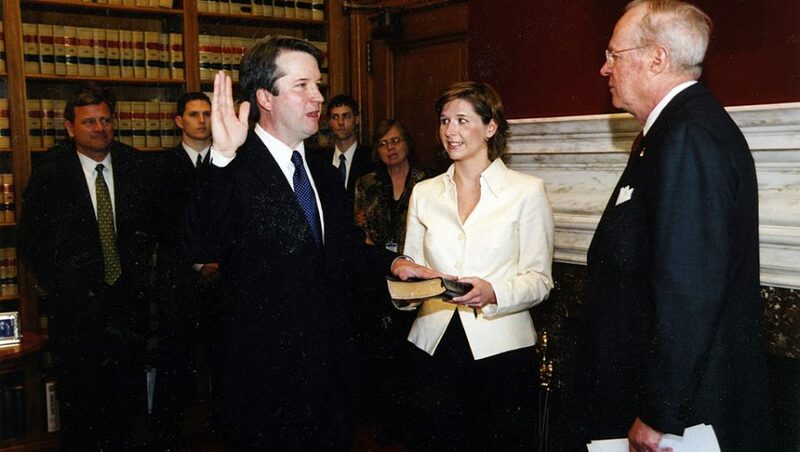 Now she has written an article, first published in Slate and excerpted below, detailing Brett Kavanaugh’s previous sworn testimony in which he falsely denied receiving documents and letters stolen from Democratic Senators. She appeared on MSNBC’s Rachel Maddow show as government watchdog groups called for an impeachment investigation of Kavanaugh’s statements. Even if Kavanaugh could claim that he didn’t have any hint at the time he received the emails that these documents were of suspect provenance — which I personally find implausible — there is no reasonable way for him to assert honestly that he had no idea what they were after the revelation of the theft. Any reasonable person would have realized they had been stolen, and certainly someone as smart as Kavanaugh would have too. If BK’s appointment is shoved through before the election, I hope every voter has access to his lies – and back-up proof – so that they can see who they can vote for who is working to preserve our democracy…and who they should NOT vote for because they are ‘hell-bent’ on destroying it. I greatly fear that our country is headed in the direction of Germany in the 30s. I want all citizens to know which side they’re on before it happens. Wow. Thanks for this clearly written account. The widespread lying and corruption boggles my mind. Thank you. Your work, logic and clear writing affirm over and again my efforts to donate to CMD.